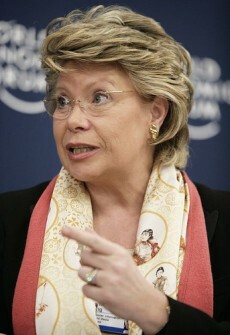 EU justice Commissioner (and, very incidentally, Commissioner responsible for communications) Viviane Reding yesterday gave a speech entitled “Your data, your rights: Safeguarding your privacy in a connected world”. You can read the speech here, and there are articles from The Guardian, The Register and The Telegraph. I’m actually surprised – the way Reding fleshes out the principles for the policy are better than I had hoped. The speech outlines 4 pillars on which future EU data protection policy relating to social networks is going to be based. These are the “right to be forgotten”, “transparency”, “privacy by default” and “protection regardless of data location”. The “privacy by default” rule will also be helpful in cases of unfair, unexpected or unreasonable processing of data – such as when data is used for purposes other than for what an individual had initially given his or her consent or permission or when the data being collected is irrelevant. “Privacy by default” rules would prevent the collection of such data through, for example, software applications. The use of data for any other purposes than those specified should only be allowed with the explicit consent of the user or if another reason for lawful processing exists. That doesn’t strike me as describing privacy, but actually it is about control. She’s not saying ‘everything is private to you by default’, but more ‘you need to know what social networks are doing with your data’. Which in my reading of it, sounds rather like “transparency”, the second pillar she mentions. It’s not too far from the line pursued by Jeff Jarvis who relentlessly states that control for the user must be central. The first and fourth pillars – “right to be forgotten” and “protection regardless of data location” – strike me as eminently sensible. I’m not yet sure how the legislation is going to look, and expect plenty of odd statements from Reding between now and the summer, but if she keeps her focus on control and transparency, and not on privacy paranoia, then this might not turn out too badly. Britain has marginalised itself on an EU legislative dossier for the second time in a matter of weeks. Why?